Thank you so much for this app, I’ve spent hours downloading useless apps which have clogged my browser with irritating toolbars and naff search facilities and still failed to creat a half way decent gif. Your program has literally saved my sanity and I have a gif to be proud of. 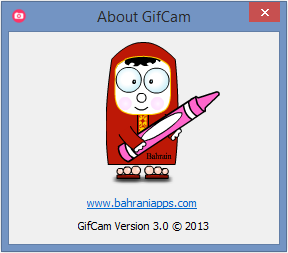 Thank you :), glad it eases your gif making process. xmas comes early! Thank you!